The largest union in Manitoba wants the province to give security officers at Winnipeg Health Sciences Centre greater powers after a series of attacks at the hospital. The increased use of meth and opioids in the city has resulted in a spike in violent situations involving patients and security staff at HSC, says a letter from the Manitoba Government and General Employees' Union to Health Minister Cameron Friesen and Justice Minister Cliff Cullen. "Our members are getting mixed messages, and they need clarity on what's expected of them," wrote MGEU president Michelle Gawronsky. "They are feeling pressured to intervene appropriately in situations that arise, but don't have the authority and power to do so." Paul Turenne, a spokesperson for the Winnipeg Regional Health Authority, said all hospitals under their authority have on-site security, and security guards have the capacity and ability to physically intervene "in a situation with a potentially violent person if they pose a threat to themselves, the staff or the patients in our care." The MGEU's letter refers to two attacks at HSC over the last year: one in January, when a corrections officer was stabbed with surgical scissors, and another in June, when a security officer was stabbed with a syringe full of blood. "These incidents are only a small sample of violent situations HSC security officers deal with on a daily basis," Gawronsky said. "It's not uncommon for them to be kicked, punched or spit on. Nor is it uncommon for them to come into contact with potentially dangerous items such as knives." The letter says the province needs to grant security officers "elevated legal status" to allow them to intervene with more authority. Asked what that might mean, Gawronsky said that would be up to the government to assess and decide. The Manitoba Nurses Union has also called for heightened security measures at Winnipeg's emergency departments after a spike in violent incidents involving methamphetamine users. A nurse in the Grace Hospital emergency room was attacked in an unprovoked, meth-related incident on Friday, the union said. The province gave Winnipeg's police cadets and river patrol unit increased authority to enforce cannabis regulations once it becomes legal in October, Gawronsky said. She said doesn't see why the province couldn't do the same for security officers at Manitoba's hospitals. "This is where patients are presenting with drug-induced psychosis, and it's only increasing. It's not getting better," she said. "If they can do this for cannabis, why can't they do this for our hospitals?" Gawronsky said HSC staff also end up confiscating weapons from patients. "It is quite a shocker to see that they're taking these weapons away from people — knives, machetes, all kinds of stuff," she said. The WRHA's Turenne said in addition to being able to intervene in threatening situations, security officers do have power to detain people. 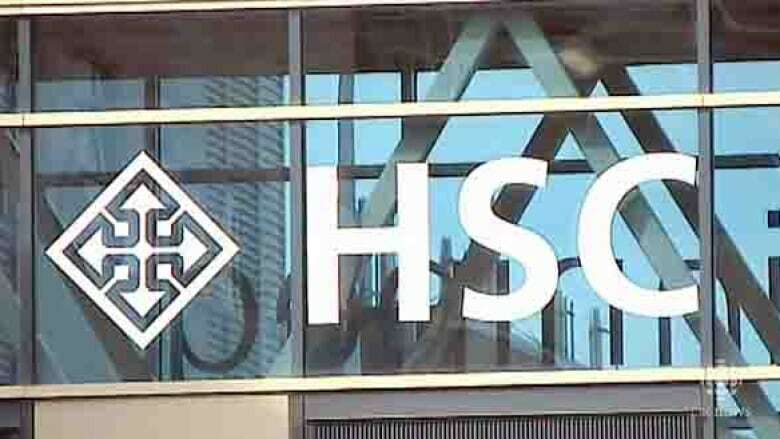 Though some security guards at HSC have a special constable designation, this is solely used to take custody of mental health patients who are brought to the hospital by police officers under the Mental Health Act, he said. "There are no identified gaps in power or authority required for security guards in hospitals to respond to aggressive or violent incidents," he said in an email. "The Criminal Code of Canada grants security guards in hospitals the power to carry out their duties, including intervening in situations. If further assistance is required, security guards contact the Winnipeg Police Service, who responds promptly to calls for assistance." Turenne said the number of weapons that are confiscated by HSC staff is relatively small. Health Minister Cameron Friesen told reporters Wednesday afternoon he was "disappointed" by MGEU's comments, adding that security guards at HSC have a high level of training. "On the basis of that, we know we have professionals who are serving these facilities well," he said. "All security officers in these facilities have the ability, have the training, and have the licence under the Criminal Code to intervene."